When kids yawn in the classroom, particularly during an important lecture, their teacher understand that they’re either annoyed or bored. But, what about the dogs? Do they yawn for the same reasons? It looks like you are overwhelmed by the yawning behavior of your dog, right? All of us know a lot about the yawning behavior of humans, but when someone asks about the yawning of a dog, we may end up having a question mark on our face. Why do dogs yawn often? Do they yawn because of tiredness or is there anything more to it? 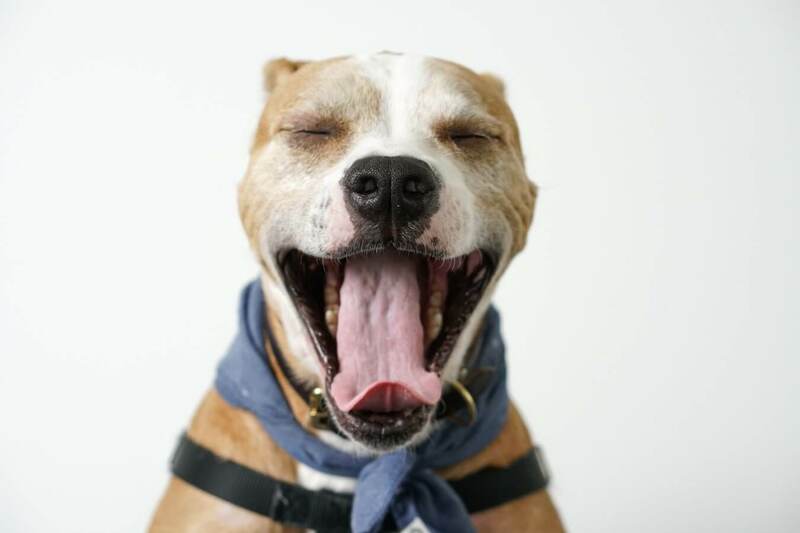 If you desire to know more about the mechanisms that trigger dog yawning, then it’s essential to learn more about the causes of yawning and, particularly, what does a yawning dog want to tell us. Yawning: Human beings do it when they are tired, annoyed, or involved in wearying tasks. Sometimes, it also turns out a contagious nature because we often do it when we see other people yawning. The yawning of a dog is usually anticipated as a calming sign. It may sometimes indicate joy or anxiety, too. But if we think scientifically, yawning is a result of the blood carrying a massive level of carbon dioxide. Let’s keep these theories aside and think about the dog yawns. Here we are covering the seven major reasons behind the yawning behavior in dogs. Rather than yawning from exhaustion, dogs prefer to keep themselves busy in several tasks such as barking at people passing by their place or digging a hole in the backyard. However, when you find your doggy yawning in particular contexts, then you must pay close attention to it because they might be trying to say something. Dogs use calming signals to communicate, especially when they feel a bit uncomfortable. Did you use an intimidating tone while talking with him? Did you scold him recently? Sometimes, dogs find certain situations or things you do as intimidate which can make them feel quite nervous. In these situations, the yawning of your dog means that he wants you to calm down and to use less traumatic words. What do you do when you are stressed or nervous? Maybe, you will start tapping your foot, biting your lips or nails. Dogs cannot do any of these activities, and therefore, they prefer to yawn. They often do it in reaction to the traumatic situation. Most behaviorists and trainers advise dog owners to look for the indications of tension in their dogs. Excessive yawning is one of these signs that shows your dog is not feeling comfortable at this time. Yawning may not be the only sign of uneasiness and stress. Some dogs express uneasiness in numerous other ways such as whale eyes, lip licking, whining and keeping ears back, or keeping their tail folded between legs (the curly tail dogs often do it), etc. Dogs cannot predict things that will occur in the far future; however, they can sense things that are about to happen. Dogs may express their hope through yawning. Dogs have an incredible sensation power which helps them connect one event with another. When you move closer to your dog and grab the keys and jacket, he understands that you are about to leave somewhere or maybe you will take him for a walk. So when your dog yawns consistently and grows a little bit impatient, you should understand that there is a hope running in his mind. Dogs cannot speak any language, so it’s expected and natural for both the dogs and humans to misunderstand each other. Therefore, yawning in dogs is sometimes a natural reaction that comes out of the confusion. You will notice that the chances of miscommunication are more at the time of training your dog. We bombard our small puppies with a lot of unrealistic expectations and requests, which can lead to a jumble of confusion and fear in dogs. So the next time when your dog yawns during the practice and training sessions, make sure you are not putting unrealistic expectations on him. Do you see your dog as a fantastic conflict solver? It is too bad that we often overlook their efforts to solve conflicts. Sometimes, dogs can sense the conflict in particular situations and rather than directly or indirectly engaging in the conflict, they might select a different option to resolve the conflict. It is what we call displacement behavior. When a kid annoys the dog or takes his toy back from the dog, the dog may prefer to yawn instead of fighting back. It is an impressive way to avoid conflicts. Dogs can’t speak or at least inform us about their pain. Changes in their behavior are usually the first sign of discomfort. For example, a dog who is stretching ahead, burping, or yawning may be experiencing some kind of abdominal pain. If your dog doesn’t look happy and is yawning consistently, then it is preferable to take his medical tests. Dogs can interact with each other in different ways. They sometimes use “calming signals” at the time of getting introduced with another dog. Some of the most common calming signals are a slow walk, lip licks, tail movements, etc. Most importantly, yawning is also a part of these calming signals. So when your dog yawns while standing in front of another dog, then you can assume that it is their way of becoming non-threatening to each other. These are some possible reasons for dog yawning. So the next time when you see your dog yawning, it is time to sit back and relax. There is nothing to worry about yawning. However, if the yawning is too frequent and unnatural, then you must consult a vet to find out the possible causes. How many times does your dog yawn throughout a day? Do you worry about it or just enjoy watching his innocent face? Let us know your thoughts about this odd biological phenomenon.